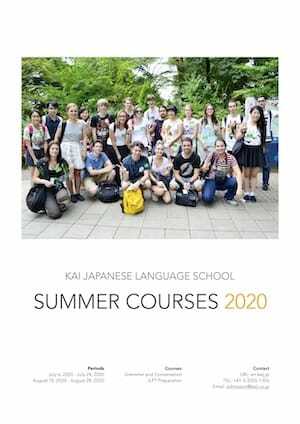 Download our course brochure (Summer Courses / Teen Program), fill in the application form and send it to us by email or fax. Please include the activity application form if you want to participate in activities. We will email you the URL of our level check test. Complete the test within 30 min. Remember to choose if you would like an interview. Even if you choose not to have an interview, we may ask you to do so based on the result of the level check test. All the students of Conversation Brush Up and JLPT Preparation courses are required to have an interview. We will arrange a Skype or telephone interview for those who request one. Otherwise, we'll determine the course and level suitable for you based on the online level check test. Pay the fees to school (see Payment). Once we confirm your payment, we will secure your place. Using Flywire, an international payment and collection provider for overseas student fees, you can pay the fees through a bank transfer to a local bank in your area or by credit cards. You must come to school to pay by cash or credit card. The full amount is required to be paid to secure a seat in a class. In case of cancellation before the application deadline, the tuition and textbook fee will be refunded by bank transfer. In case of cancellation after the application deadline, 80% of the tuition and textbook fee will be refunded by bank transfer. In case of cancellation after the first day of the class, KAI will retain the full amount. In case of a refund transfer, the applicant bears the cost for the bank charge. Registration fee is non-refundable unless the course is cancelled by school.